Born in 1967, Miriam Escofet began painting at a young age, influenced by her father, Jose Escofet, who is also an artist. She attended Epsom School of Art from 1985 - 1986 and transferred to Brighton College of Art, where she studied 3-D design and Ceramics. The Albemarle Gallery is proud to have championed and exhibited her throughout her career, giving Escofet her first solo in 2001. This is the fifth time Escofet has been selected for the BP Portrait Award exhibition (previously in 2007, 2009, 2010 and 2012.) 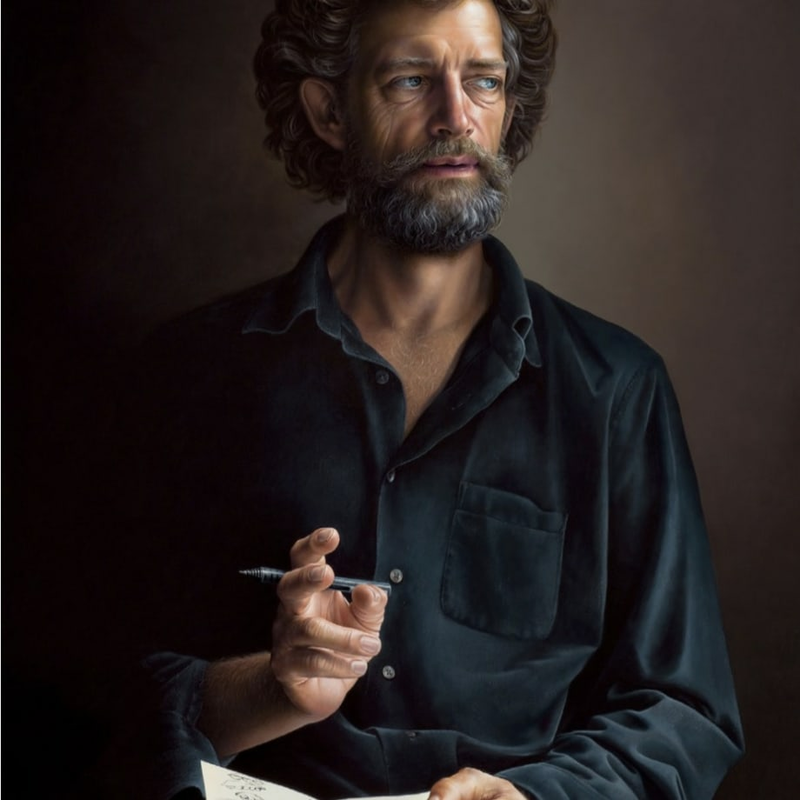 She has also been regularly selected for The Royal Society of Portrait Painters annual exhibitions and was awarded the Burke's Peerage Foundation Prize for Classically Inspired Portraiture in 2015. Rich in classical architecture set against a background of vibrant, saturated colour, Escofet also paints wondrous landscapes, imbued with layers of fantasy and allegory. She encapsulates the imagination of the viewer through the precise rendering of her invented visions, where the twisting trunks of vast trees reveal and conceal an otherworldly environment; yet these scenes remain rooted in a distant familiarity, they are grounded and made real to us by the application of distinct classical architectural motifs. Within these spaces, Escofet asks us to explore and interpret forms, both natural and man made, in a bid to understand the symbolism buried within.